In all honesty, I don’t think it is advisable to stay in a job where you are being mobbed. People will advise you to stick it out and fight. Some will tell you that if you walk away the bullies win. The truth is this; you are the one wearing the shoe and know where it hurts. After you must have been damaged because you stayed back in an unhealthy work environment, those people who once advised you to stay will probably not understand or even leave you to your faith. Some will say you lost your job because you are incompetent or you are a difficult worker. Most times people don’t even understand the phenomenon called mobbing. I have had people roll their eyes and look at me like I am probably insane and keep their distance. Even the so-called defenders will abandon you in the race, you might not get the support you need to fight and end up even screwing yourself up the more. For you to fight mobbing, you have to be fully equipped. If you are not strong enough to stop mobbing dished to you, chances are you might not be strong enough to fight it. That time fighting mobbing can be used to secure you a safe environment to work. I know we all tie our happiness to income, stability, benefits etc. But you can plan a great exit strategy. Some benefits are transferable in government. I will advise you probably work for some few months to save some funds and at the same time search for another job and leave. Even if you do not get a job of your standard, take up anything to survive while you wait. The truth is this; there is never really a happy ending to mobbing. Either you resign or they terminate you. It’s either you win a law suit or lose a law suit but winning doesn’t safeguard your well-being. You might die out of exhaustion or having to re-live the experience, you might lose your career, and no one will want to employ someone who sues companies. Going through the process might also mean you will be disabled. Staying back may also mean retaliation that will dent your career for life. To me the best revenge/pay back is to become a success story after you leave. Let your enemies know you are doing better elsewhere and whatever was done to you was a waste of time. That way, people will really see that they are the problem. You can also ensure you put your reason for resigning in your resignation letter then authorities will take it up and you don’t need to be there when all that stress happens. If you are lucky someone else would have complained before you or will complain afterwards or at least the bullies might stop so they don’t get into trouble. You have to ask yourself, is an organization that supports such really worth working for. 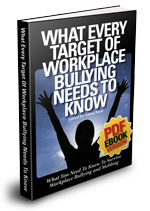 A lot of people work in companies without a trace of bullying but the regular workplace here or there. I have read your comments many times and I totally agree with what you are saying. Your advice and opinions are spot on. I agree, get out and move on. I unfortunately stayed far too long at my job unaware that my use-by-date was up and that I would be forced to leave, after 14 years. The other 12 staff members have never checked on my well-being since I left 2 1/2 years ago. The only problem with leaving and moving on is that these bullies know all of this. They do it because they know that if they don't like you they can get away with there bad behavior to get you to quit! 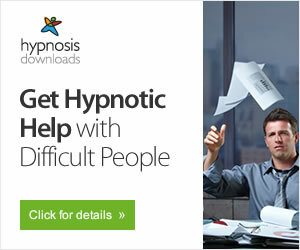 So it becomes a tactic that can be used to get rid of people just because they don't like you! Just because they might not like the way you think about things that have nothing to do with work! Or just because you do things different from them but get the same or better results! I have a pension and I refuse to let some people that don't like the way I think deprive me of a proper retirement! I have 19 years in and I will have the last laugh! If I had left I wouldn't have that and they truly would have won by taking away my retirement. You have to weigh it out for yourself, you truly are the one walking in those shoes. I am a female working in an all-male environment and my only fault is being very smart. They all ganged up on me and bullied me using all available methods to make me leave. As the other anonymous said, why give in and leave? It's hard, yes, but in my case I really hope something will be done (since I filed several HR complains) and in the end the bullies will be called to order. Have you ever thought what would happen to your mental health (the one that you are trying so hard to protect by leaving) if next person to be bullied doesn't have the strength to leave, doesn't know what to do and harms themselves? How would you live with yourself knowing you knew about those bullies and left without even trying to do something about it? I believe if more people would fight back, the bullies would not be so prevalent in today's workplace.